ABOUT: A computer hacker learns from mysterious rebels about the true nature of his reality and his role in the war against its controllers. ADVANCE TICKET INFO: Reserved Section - $19. General - $14. DOOR INFO: Reserved Section - $22. General - $17. 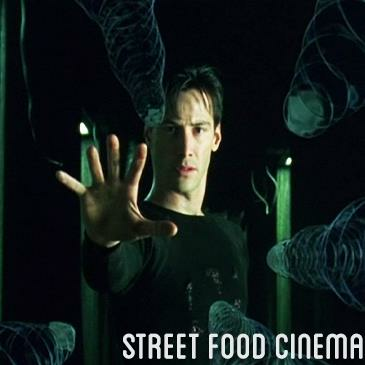 LIVE MUSIC: Visit www.streetfoodcinema.com/the-matrix/ for the most current Live Music listing! FOOD TRUCKS: Visit www.streetfoodcinema.com/the-matrix/ for the most current Food Truck listing! PARKING: Free street parking. Suggested lot adjacent to the park for $10. Follow signage to park. Lot not owned nor operated by SFC.